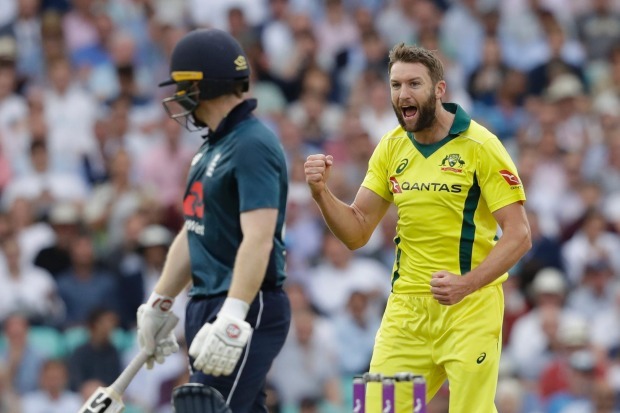 Foxtel executives have given the green light to another major revamp of its streaming offering and are expected to unveil standalone services for sport and entertainment. The new sports streaming service, known internally as Project Martian, revealed by The Australian Financial Review in March, is understood to be readying for a likely launch in November with Fox Sports’ first exclusive men’s cricket match between Australia and South Africa on November 4 in Perth. However, the subscription TV provider could opt for a soft launch with the beginning of its women’s cricket coverage on September 29 when Australia play New Zealand in Sydney. The pay TV provider is said to be preparing its cricket channel, Fox Cricket, for 4K-resolution quality video. It’s believed Foxtel will offer the sports service at $19.95 per month. However, some said there was internal debate that could see the streaming video on demand (SVOD) offering cost $25 per month. It’s believed Foxtel will offer its new sports service at $19.95 per month. Foxtel is also expected to announce a new entertainment SVOD service, known internally as Project Jupiter, as part of sweeping changes to its streaming strategy. The new services are unlikely to carry Foxtel branding and are expected to supersede the SVOD service Foxtel Now, which could be phased out all together. Foxtel Now was launched last year by then chief executive Peter Tonagh, however, it has failed to gain traction because the pricing and service has basically been in line with the pay TV giant’s linear cable subscription service. A News Corp spokesman declined to comment. Sources said Foxtel chief executive Patrick Delany, who was Fox Sports boss until the merger of the two earlier this year, was not a big fan of the rebranding of Foxtel’s streaming service to Foxtel Now last year, believing it created brand confusion and didn’t properly leverage the portfolio of content the News Corp-controlled pay TV provider has amassed. Mr Delany has had consulting firm McKinsey & Co working in Foxtel for a number of months on a digital transformation to deal with an array of headwinds it is facing with the entry of Netflix, the growth of Stan – which is 50-50 owned by Nine Entertainment and Fairfax Media, publisher of the Financial Review – and the expected ramp up by Amazon in marketing its Prime Video service. Foxtel executives understand they need to rethink its traditional wall-garden approach to maximise the value of the content rights it owns. It has long struggled to push through the 30 per cent penetration of Australian households barrier, with price-conscious consumers not being convinced to sign up. It will be a delicate balance for Foxtel to provide enough content on the new streaming services to convince users to sign up without cannibalising its existing customer base. However, sources said Foxtel needs to shake up its go-to-market offering. News Corporation, which owns 65 per cent of the merged Foxtel-Fox Sports entity, which is internally being called Fox Co, will report its full-year results on Friday, and there is expected to be focus on Foxtel’s subscriber numbers.